The web is full of websites with great layouts and designs. But if there is a video to be embedded a standard video player is used, which absoloutely does not fit with the corresponding layout. So if you do not want to use a gray videoplayer with red controls in a layout based on blue an white your-videoplayer is what you need. Just draw your own player in your favourite drawing program. Cut all elements you need and upload them in the video customizer above. Get the embed code an paste it in your website. That's it! Try it - it's easy. Just select one of the skins below by simply clicking on it. After that you are able to edit and personalize your own player or just copy and past a link into the videosource-textfield and get the embed code. We always look for players with great design-ideas. Those skins will be published here. How do I change the position of elements? The easiest way to change the position of elements is per drag and drop. Click on the element you want do move, hold the mouse pressed and drag it to an arbitrary position. Another way to move elements is to do this with the arrow key on your keyboard. You have to click on the element you want to move to set the focus. After that you can use the arrow keys to move the element. Open the edit menu by clicking "edit"
How do I change the video? Set the focus on the video. You can do this by clicking on the video or select "video" in the edit-menu. Open the edit-menu if it is not opened already. The video must be encoded in H.264. If you are not shure, just try it. You can also visit youtube.com and select your favourite video. Copy the url and past it in the "video source" textfield. Alternatively you can directly enter the youtube-video-id. Ensure, that one video is not displayed parallely (e.g. on youtube and on your-videoplayer). This could cause problems. How do I apply my own skin? Set the focus on the element you want to customize. You can do this by clicking on the element or select it in the edit-menu. The different states will be displayed. To upload your own customized elements simply click on the images of the predefined states. After that a dialog box will appear. Now you can select your own image on your harddisk. The selected image will be uploaded an the result will be displayed directly. What do I have to consider when I create my own skin? There are two important things you have to consider while designing your own video player skin. What is the "clickable" functionality? The "clickable" functionality exists at the sliders of your video player. These are the progress-slider and the volume-slider. 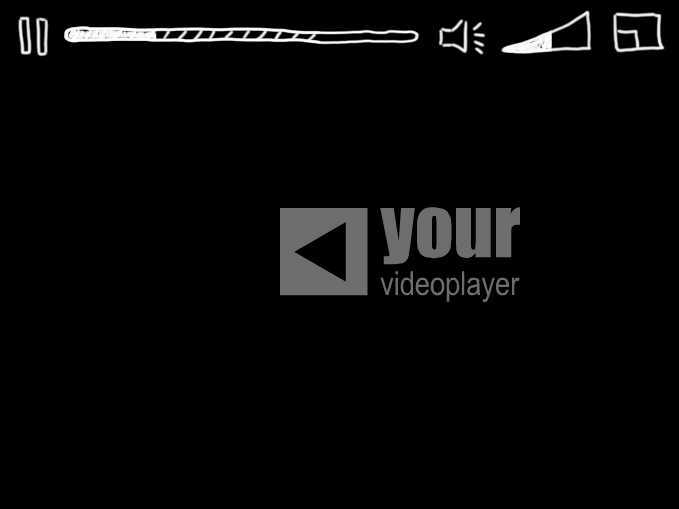 The "clickable area" defines the area, which the user of your video player can click and drag to change the volume or the current play position. It also defines the direction the slider works. So you are able to create volume- and progress-slider that work in an arbitrary area and an arbitrary angle. Focus the progress- or volume-bar. Click on the "show-checkbox". Now the "clickable area" is visible and can be edited. You can enter an angle with your keys on the keyboard or change the position and size of the "clickable area" as your are used to do from other elements. If it is the first time you work with this function, it might be a little bit tricky to understand how it works. Try it - you can't do anything wrong. How do I hide the elements I don't need? Set the focus on the element you want to hide by clicking on it or selecting it in the edit-menu. Disable the element by clicking on the "visible"-checkbox. You can display hidden skin-elements in the same way. How does the save function work? You have to save all changes on your video player skin - except changes in the video-source. To save changes click "save". After that a dialog box will appear. You can enter a name for your player. If you enter the name of an existing video player skin or select one from the displayed list the existing skin will be overwritten. Be careful - if you overwrite a skin, which is already embedded skin in a website the embedded player will be affected, too! If you only changed the video-source you do not need to save the player skin. You can simply click on "embed" to generate the embed-code. How does the load function work? You have the possibility to load saved video player skins to edit them. To do this click on "load" an select one of your skins. How do I embed my new video player skin on my website/blog? To embed your video player skin you have to copy the embed-code and paste it in the sourcecode of your website or blog or whereever you want. After you saved your own skin the embed-code will be displayed automatically. Alternative you can generate the embed-code by clicking "embed". Be careful - unsaved changes can not be observed. If you just changed the video-source you don't need to save. Your-videoplayer is NOT responsible for images uploaded by users. 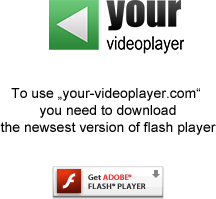 Videos – ecept the FAQ-vidoes – are not hosted by your-videoplayer. It it not allowed to use your-videoplayer in an illegal way.